GUSTAFER YELLOWGOLD'S ROCK MELON TOUR! MULTIMEDIA EXPERIENCE AND ALL-NEW VIDEO DEBUT! 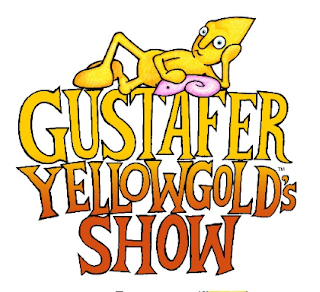 Here at ChiIL Mama, Gustafer Yellowgold's been a favorite of ours for years. We've given away show tickets, a collector poster and loads of his CDs to our lucky readers. Enter here for your shot at a free family 4 pack of tickets AND brunch for FOUR and come see him live on 2/23. *Thanks to Schubas and Gustafer Yellowgold for providing us with tickets & a brunch voucher for our readers. All opinions are our own. By popular demand, that little guy from the Sun is set to make his annual visit to Chicago! Gustafer Yellowgold brings his out-of-this-world, multimedia family show to Schubas Tavern, 3159 N. Southport, Chicago at 11:00 a.m. on Saturday, February 23, as part of his 2013 Rock Melon Tour. 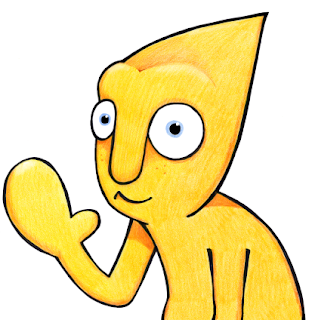 Groovy Gustafer Yellowgold is a small, yellow, cone-headed fellow who came from the Sun and landed in Minnesota. 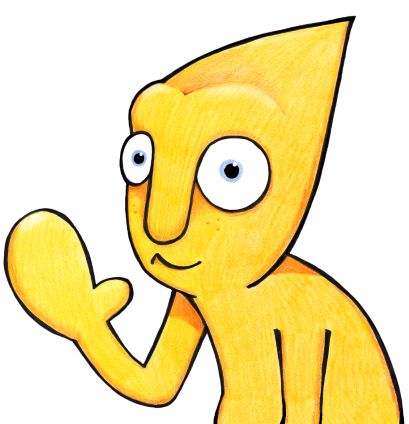 Illustrator/songwriter/performer Morgan Taylor developed the "musical moving storybook" Gustafer Yellowgold experience as equal parts pop rock concert and hand drawn cartoon movie. 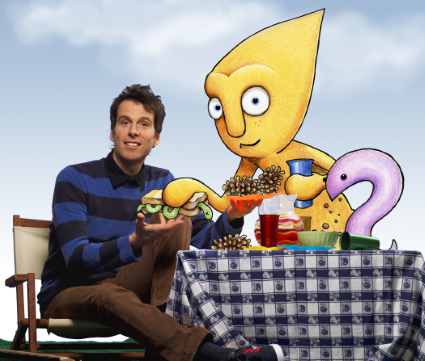 All shows on Gustafer Yellowgold's Rock Melon Tour will include the live concert debut of a new, hand-drawn animated Gustafer Yellowgold video/song, "Rock Melon." The character Rock Melon is the alter ego of Gustafer's pal, Slim the Eel, who works himself into a frenzy when exposed to cantaloupe. This live performance will also feature songs and videos from the 2012 release, Gustafer Yellowgold's Year In The Day, along with plenty of fan favorites from the four previous, award-winning Gustafer Yellowgold DVDs, all filled with the one-of-a-kind Gustafer Yellowgold blend of blissful pop music, lyrical poignancy, and cartoon absurdity. 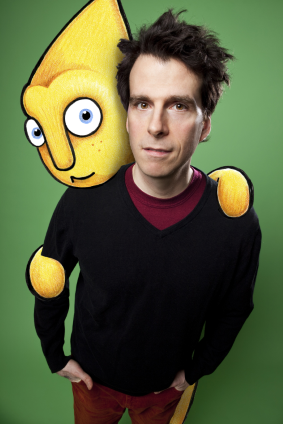 Since his creation in 2005, Gustafer Yellowgold has become an international phenomenon, headlining family friendly venues all across the U.S., in London, and even in Seoul, Korea. Yet, Gustafer is not just for kids! 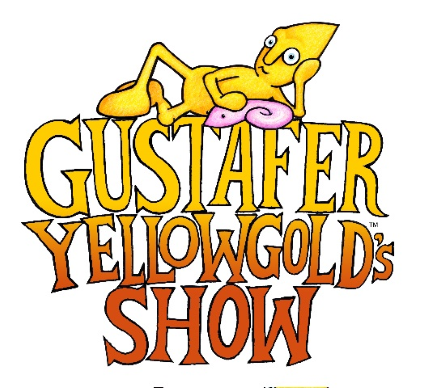 Gustafer Yellowgold's Show has performed as the support act for WILCO and The Polyphonic Spree, and Gustafer has been seen off-Broadway in his own productions of Gustafer Yellowgold's Mellow Sensation and Gustafer Yellowgold's Infinity Sock. Gustafer's orchestra show, Gustafer Yellowgold's Golden Heart Symphony, has thrilled audiences coast-to-coast. WHAT: GUSTAFER YELLOWGOLD'S ROCK MELON TOUR! WHEN: Saturday, February 23. 11:00 a.m.
TICKETS: $10. Ages two and under, free.